The dawn of any year for many employees in Singapore means the filing of income tax returns. 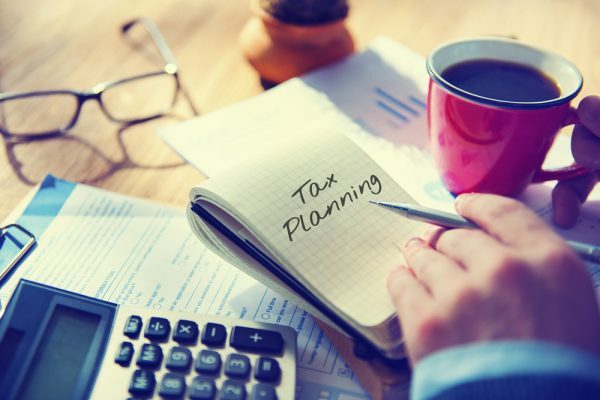 April is around the corner, and as we settle into the new year, it’s only fundamental that we put some focus on plans and strategies to reduce our personal income tax. There is a prevailing misconception that taxes are only paid by the wealthy or high earning individuals in the government. On the contrary, if you earn any form of income that exceeds the tax-rate minimum threshold of S$20,000 per year, you have an obligation to pay a certain percentage of your income as individual tax. Irrespective of whether you’re a Singapore citizen, permanent resident, or expatriate, it is critical to familiarize yourself with Singapore personal tax regulations from the Inland Revenue Authority of Singapore (IRAS). Many articles have been written about the economy of Singapore, many stating that the Asian country is quite expensive to live in. Well, living in a costly country is not a problem, the problem comes in when you are unable to make proper financial management strategies. Proper tax planning is one integral component of these strategies that should never be ignored. Here are a few tax- saving tips that we think you should know. In Singapore, the rental income is liable to tax. However, there are tax deductions offered by the government on expenses that may occur in the process of producing the rental income and other costs incurred particularly in the period of the tenancy. Such fees may include utility expenses, repairs, fire insurances, and property taxes. The amount to be deducted as the rental expense is virtually calculated based on the 15% of your gross rental income achieved from letting the residential property. Additionally, interests on loans taken for the purpose of purchasing a property are also included as deductible expenses. Being self-employed does not mean you will evade tax. However self-employed individuals like private tutors, hawkers, freelances and business entrepreneurs also incur various expenses as they earn their income. These expenses can be claimed as a tax deduction. Examples of these expenses include advertisements, transport costs, electricity, human resources, and IT maintenance charges. It is imperative to understand that for you to qualify for these claims, they must be directly related to your business and should be adequately supported by documents. Personal expenses like CPF contributions, machinery, and medical expenses are not included in these expense claim as these are regarded to be universal—expenses that both employed and self-employed incur. Did you know that you can get something small from the government every time you make a donation? Well, charitable contributions are highly appreciated in Singapore? When you make contributions to the Singapore government or approved Institutions of Public Character (IPC), you automatically qualify for a relative amount of tax deduction. These donations are virtually deducted against the statutory income (which is inclusive of trade income, employment and more) before getting to your assessable income. The Singapore personal tax rates are progressive from 0 to 22% for yearly income exceeding S$320,000. In addition to that, the government also provides a number of reliefs and concessions which allows you to save up on personal taxes. Standard deductions or tax reliefs against your assessable income are usually offered depending on your contributions to the sectors that align with the government policies. For instance, concessions are mainly available to support family formation, parenthood, caring for the aged and upgrading professional skill. Some of the reliefs that one can claim include foreign maid levy relief, parent relief, income relief spouse relief, and child relief which are all subject to various conditions. The Supplementary Retirement Scheme (SRS) is a government-managed voluntary program that enables individuals to save up for their retirement above and over the standard compulsory CPF. With the SRS, you can contribute certain amounts up to a certain level. For Singapore citizens, and other permanent residents, the maximum amount allowed is S$15300 per annum while the cap sticks at S$35700 for foreign workers. While the SRS does not offer a fixed rate like the CPF, it offers lucrative benefits. One particular advantage is that every dollar contributed to your SRS can be deducted from your chargeable income, meaning that your exact SRS contribution is the amount of tax relief that you can claim. The Central Provident Fund (CPF) allows you to claim relief every time you top-up your CPF savings. You may also request the relief from your employer if he/she contributes it for you. Topping up your family member’s retirement account or the SRS also gives you the chance to claim additional relief so long as their annual income does not go beyond S$4000 the preceding year. Cash top ups amounting to S$7000 or more renders your tax relief to be capped at S$7000. However, for cash top-ups below S$7000 made by either you or your employer, you’re entitled to tax relief based on the amount of top-up made. Lastly, you may claim additional relief for topping up the CPF accounts of your Siblings, parents, grandparents, or spouse so long as the amount is equal or less than S$7000. Note that the maximum amount of CPF contribution that you can make in a year is capped at S$14000. Sometimes, you may incur certain costs at work that may not be compensated by your boss. Such fees may include transport expenses, data, and mobile recharge expenses for calling clients, entertainment expenses for your company’s clients and other paid subscriptions paid to professional bodies. Each time you incur such expenses, keep receipts, invoices, vouchers, and any other relevant documents that may support your claim as most estimates and non- verifiable records may not be accepted. If all goes well, you are supposed to get compensated in the form of employment expenses deductible tax. Also, make sure that the expenses were incurred while you were in office carrying official duties. Molly is a freelance blogger and copywriter. She holds a Post-graduate degree in Computer Science from University California US, and writes unique and research-driven content about business, career, life insurance, and more. She is also an expert in digital marketing.